3mm standard T-1 3/4 type. Bi-color: Hyper Red & Pure Green. The Hyper Red source color devices are made with AlGaInP on N-GaAs substrate Light Emitting Diode. 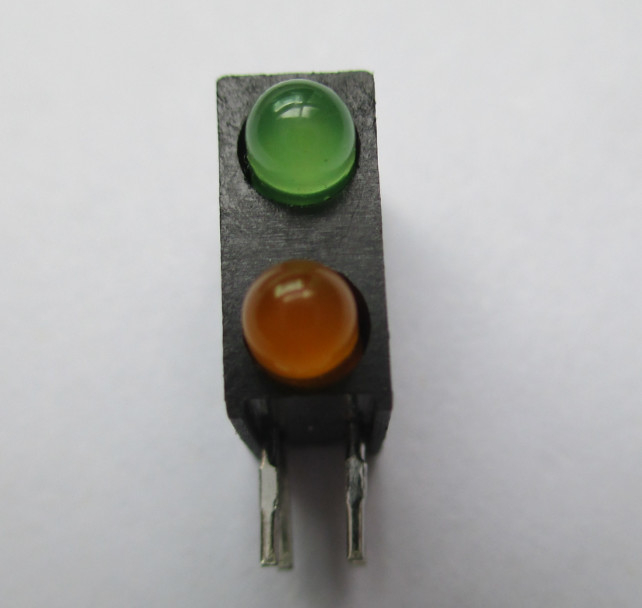 The Pure Green source color devices are made with InGaN on Sapphire substrate Light Emitting Diode. Confidence level: 90%. LTPD: 10%. Customer must apply resistors for protection, otherwise slight voltage shift will cause big current change (Burn out will happen). 2.1 Do not open moisture proof bag before the products are ready to use. 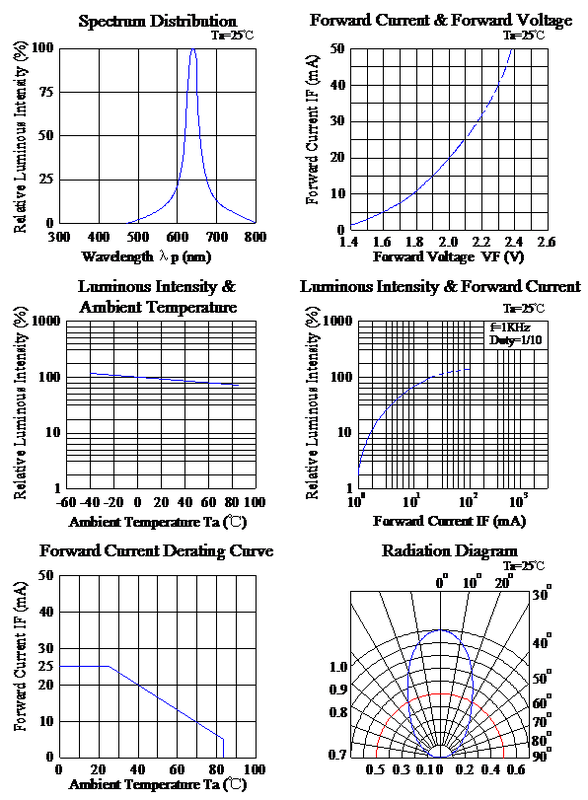 2.2 Before opening the package, the LEDs should be kept at 30℃ or less and 90%RH or less. 2.3 The LEDs should be used within a year. 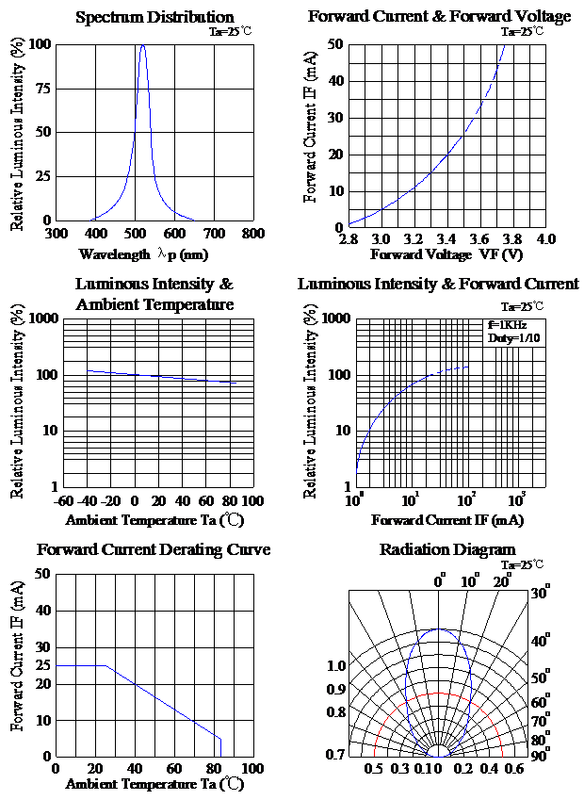 2.4 After opening the package, the LEDs should be kept at 30℃ or less and 70%RH or less. 2.5 The LEDs should be used within 168 hours (7 days) after opening the package. Each terminal is to go to the tip of soldering iron temperature less than 260℃ for 5 seconds within once in less than the soldering iron capacity 25W. Leave two seconds and more intervals, and do soldering of each terminal. Be careful because the damage of the product is often started at the time of the hand solder. Repair should not be done after the LEDs have been soldered. When repairing is unavoidable, a double-head soldering iron should be used. It should be confirmed beforehand whether the characteristics of the LEDs will or will not be damaged by repairing. Static Electricity and surge damages the LED. It is recommended to use a wrist band or anti-electrostatic glove when handling the LED. All devices equipment and machinery must be properly grounded. 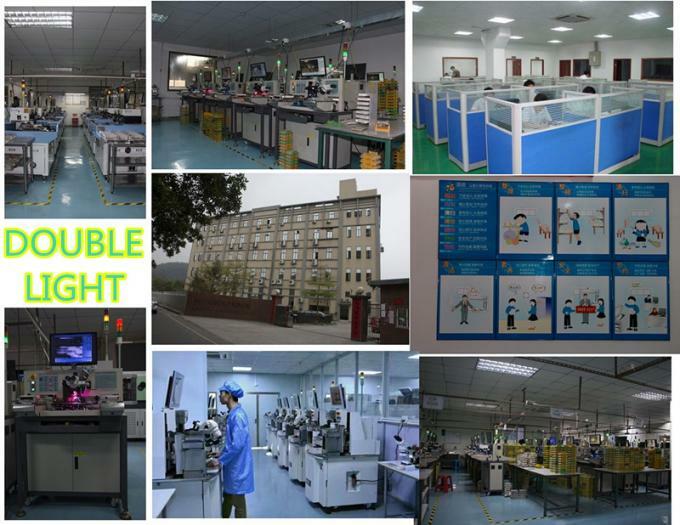 HongKong Double Light Electronics was founded in 2005 as a professional LED manufacturer located in Shenzhen, China. We mainly produce a wide range of products with automatic production lines, which include THT LEDs, chip LEDs, LED displays, infrared LEDs, dot matrix, LCD backlights and LED lighting fixtures.